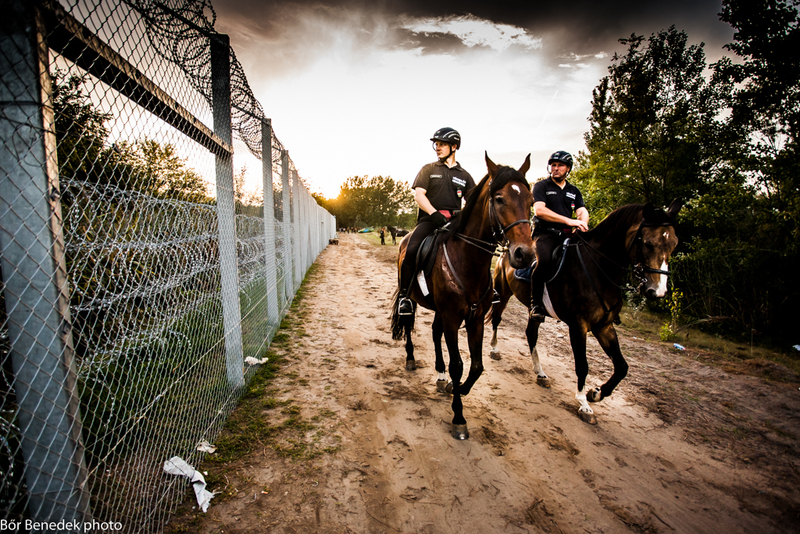 Mounted policemen at Hungary-Serbia border. Hungary has reportedly stopped handing out food to rejected asylum seekers being held in transit zones on the country’s border with Serbia. This move has been harshly criticised by Human Rights Watch. According to the group, two Afghan families and a pair of Syrian brothers are among those who were denied food after their asylum applications were rejected under a new admissibility procedure. While a breastfeeding woman and children in the Afghan families were provided with food, they were prohibited from sharing it with other family members, the families’ legal representatives told Human Rights Watch. Acting on an emergency appeal filed by the Hungarian Helsinki Committee (HHC), the European Court of Human Rights (ECtHR) ordered Hungarian authorities on August 10 to resume food distribution for the two Afghan families and has since issued similar orders in response to three other appeals, including on behalf of the Syrian brothers. While authorities have respected the court orders thus far, dozens of other rejected asylum seekers may face food deprivation, Human Rights Watch said. Amendments to Hungarian asylum law enacted on July 1 allow authorities to deport asylum seekers whose claims have been deemed inadmissible even if they appeal the decision. Nearly all asylum claims by people who entered Hungary via Serbia or any other country listed as a safe third country under Hungarian law are considered inadmissible. As reported by Deutsche Welle (DW), Germany’s international broadcaster, the Immigration and Asylum Office (IAO) in Budapest has said authorities have no obligation under Hungarian law to provide food to rejected asylum-seekers in transit zones. Andras Lederer, an advocacy officer with the Hungarian Helsinki Committee, told DW that authorities appear to want to make the situation difficult for rejected asylum-seekers by forcing each to apply individually to ECHR. “What we see is that despite the fact that the European Court of Human Rights granted the interim measures, ordering the authorities to provide food to these people, the Immigration and Asylum Office only does so after each individual applied to the court and the court made such a decision,” he said.